Yesterday during our arduous drive back to New York, we stopped by some fast food stations to grab lunch and dinner. 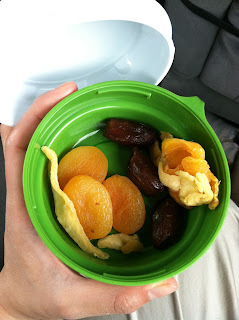 For lunch I wasn't that hungry, so I just ate a Wendy's frosty (so good in a burning hot vehicle) and some dried fruits. This was a huge rest-stop in Canada before the Niagara Falls border - the place was bustling with patrons and there were a huge variety of food, almost as diverse as Canada itself. Would have liked to try the chicken kabobs or the KFC poutine had I had the appetite. 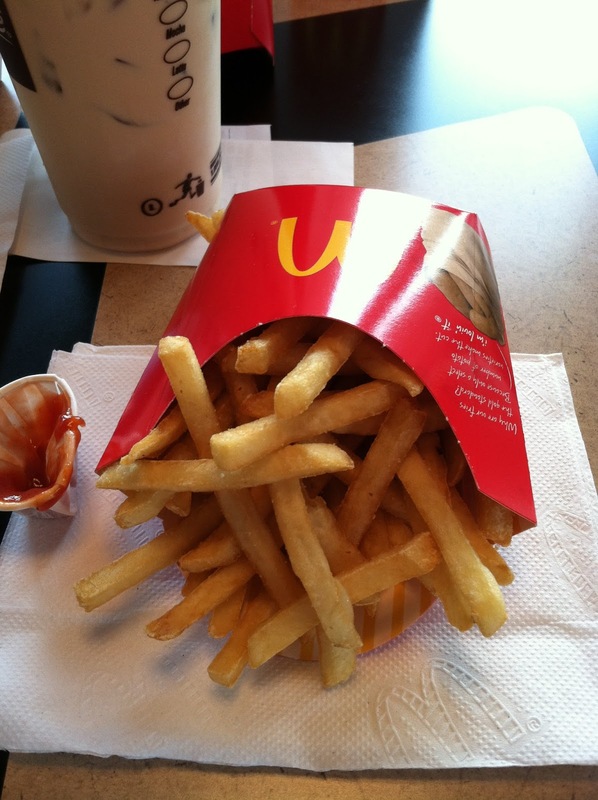 After getting stuck at the border for an hour and then driving for five more, we stopped for dinner at McDonald's. I know, I know, this isn't the healthiest plan, but oh well. 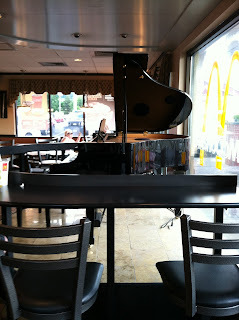 I was amazed at the quality of the Mickey Dee's at Ithaca. It was amazingly clean and the food actually tasted like, well, food. There's even a piano that automatically plays tunes to create some atmosphere. The kids sitting at the high stools in front of it got a kick out of it. 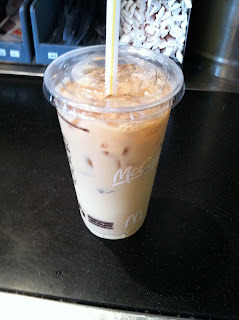 The ice coffee is commendable - it was creamy with just the right degree of sugar, without being overbearingly so. 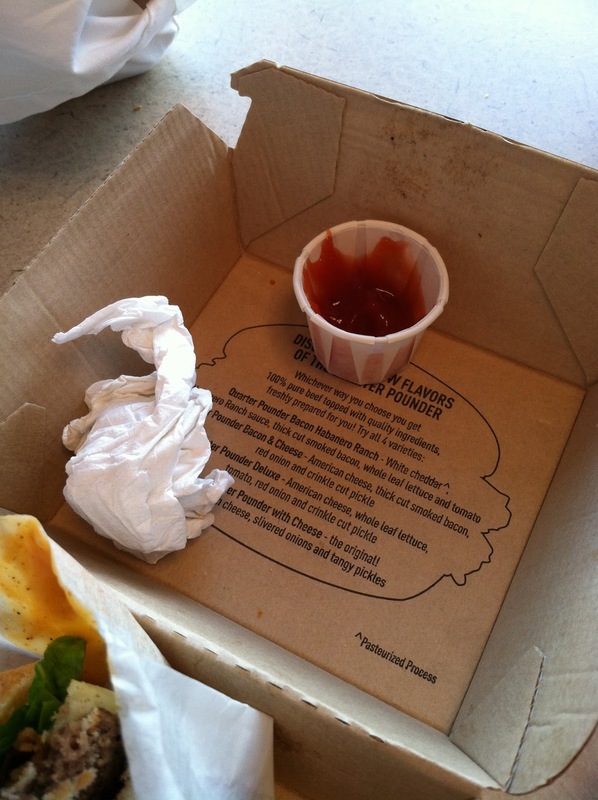 Plus you can replace your drink from the meal with it, and then after you're done, refill it with an iced tea or pop. 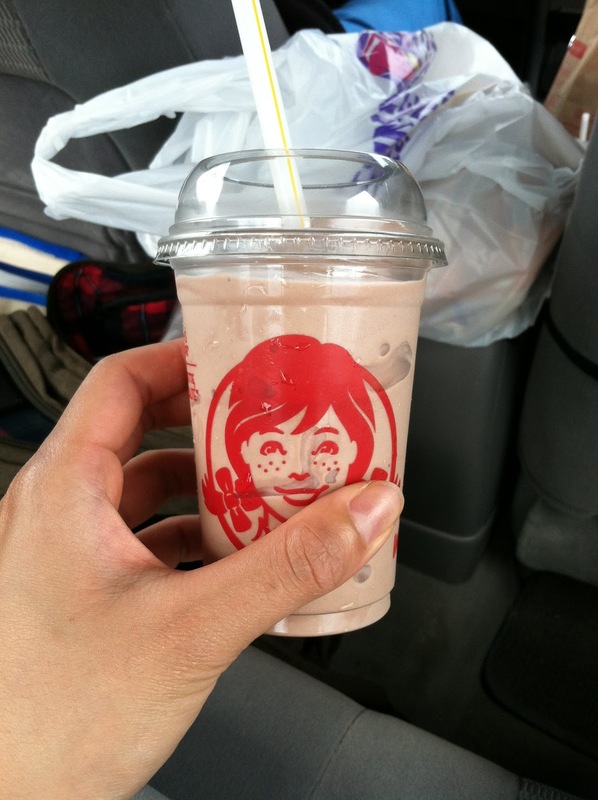 Five thumbs up. 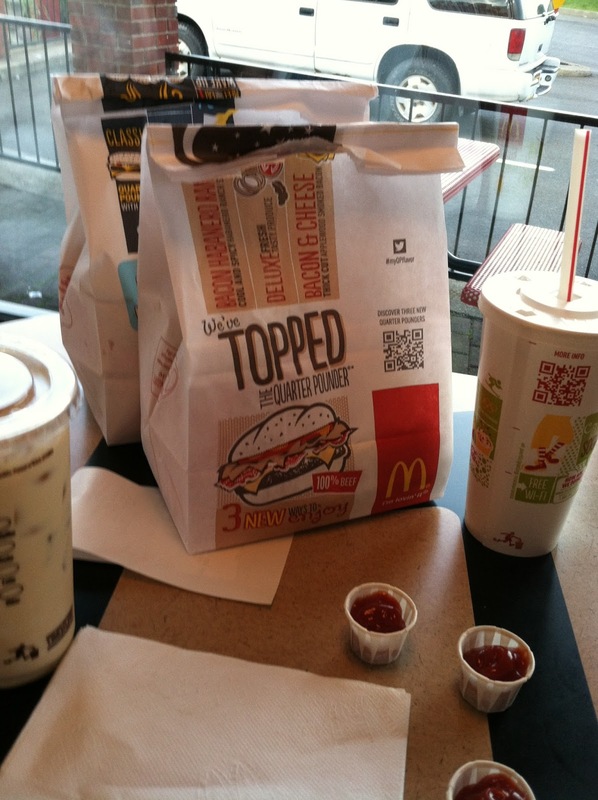 We ordered a quarter pounder meal, a filet-o-fish meal, and a deluxe meal. All came down to $27. 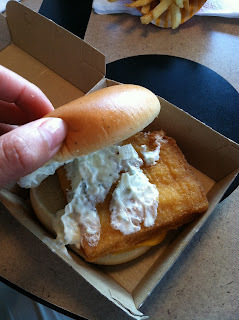 I was delightful surprised that my filet-o-fish actually tasted like a real burger! It was crunchy and soft inside, with real tartar sauce. And the bun was nice and fluffy with a bite. Oh yes and the size was actually decent, not like the 3-bite burgers you get in Manhattan. 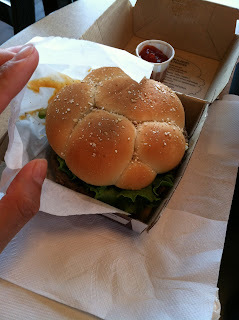 Hubby's quarter-pounder looked like a piece of art. The bun was nice and plump with bits of sesame seeds sprinkled on top. The beef looked juicy, and so were the fixings. They even omitted tomatoes like he requested! The fries were alright compared to Wendy's or KFC, but McDonald standards I'd have to give it a thumbs up. 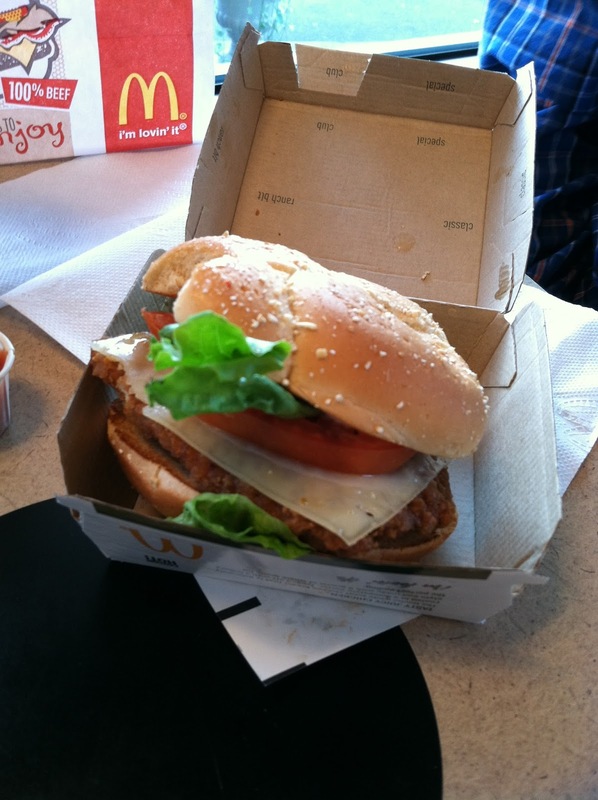 Dad's quarter chicken pounder looked like a mean sandwich. Everything looked really fresh and delish, only thing was the cheese that looked kind of plastic-ky. Right after we finished all our meals (Dad couldn't finish some of his fries), it started to downpour. Another 5 hours to go in the trip, we were glad to have a refill before hurrying back on the road.